An expert panel, led by ARCHITECT’s Ned Cramer, speaks on combating climate change with design at HIVE. Ned Cramer, Assoc. 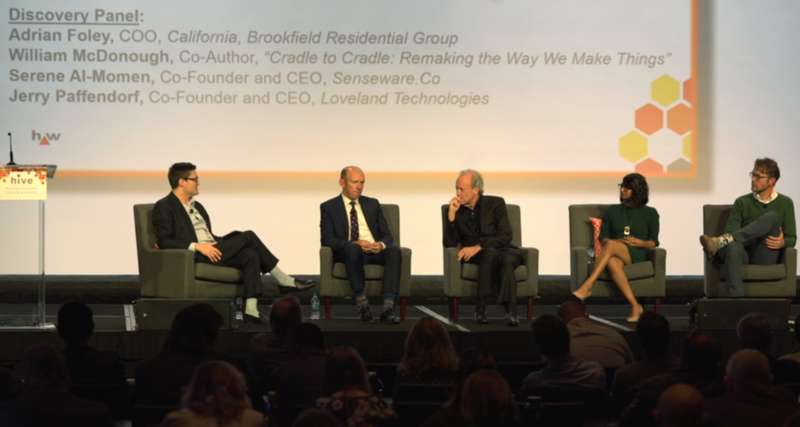 AIA, editor-in-chief, ARCHITECT and vice president, editorial at Hanley Wood, challenged his panel of experts, including our CEO, Serene Almomen, to explore where innovation fits into action that can transform how the built environment is designed to work. You can learn more about the HIVE presentations here.